Growing up with horses Nikki Burke knew all she wanted to do was train horses. Nikki started strapping when she was 12 years old and was riding track work when she was 14. Racing is Nikki’s life and she enjoys every minute of it. The horses are the reason Nikki gets out of bed every day and enjoys the challenge of working out a ‘quirky' horse as well as watching each individual progress throughout their careers. Nikki recently made the operational decision to retire a lot of her older horses which had been racing as sound and happy horses for a long time yet were ready for life after racing. This decision wasn’t taken lightly but being so close to each and every one of her horses allowed Nikki to see that retirement was the best option for her stalwarts after a wonderful career on the track. Rebuilding the stable has been Nikki’s focus in to 2018 and the team currently has a stable full of young horses with the oldest in the yard being a 3 year old. The excitement of having a young crop of horses coming through has Nikki Burke Racing ready to stamp their mark on the upcoming racing season. 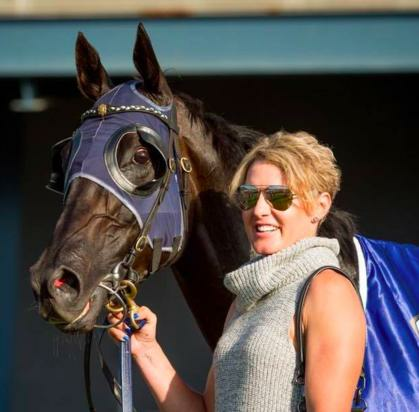 Nikki's commitment to her horses and the rebuilding of her team is second to none and with all the hard work being done success on the track is sure to follow. Nikki is no stranger to big race success having trained Listed and Group race winning horses such as Unpretentious, Nautical, Straight Ace and Rok Posta. Nikki has always had a good horse under her tutelage, a statistic she is looking to build on with the exciting young crop in the stable. Nikki is hands on, passionate and shows great attention to detail. There has never been a better time to join the team and enjoy the thrill of racing a horse with Nikki Burke Racing.